This energetic version of Tchaikovsky’s Serenade for Strings is played by the New Century Chamber Orchestra under the leadership of the great violinist, Nadja Salerno-Sonnenberg. In 1999, Ms. Salerno-Sonnenberg received an honorary Master of Musical Arts degree from New Mexico State University, the first honorary degree ever awarded by NMSU (my alma mater, btw). Franz Schubert was born over 229 years ago, and his music sounds as beautiful today as ever. The Notturno in E-flat major is one of many soulful masterpieces from the heart of one of history's greatest composers. I can almost guarantee it will be a piece you want to hear again and again. The piece is composed in ternary (ABA) form. Use the time indicators below to identify the beginning of each section in the Eggner Trio's performance. Don Juan Pacheco, Marquis of Villena and Master of the Order of Santiago — better known simply as Don Juan — is one of the most famous people who never lived, a fictional character who is usually portrayed as an aristocratic scoundrel with a single-minded desire for sexual gratification. 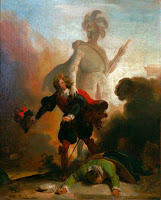 Don Juan’s legend began in 1630 when Tirso de Molina published El Burlador de Sevilla (The Trickster of Seville), a fictional work based on the Spanish nobleman Don Juan Tenorio. After the publication of Molina’s work, Don Juan become one of history's most durable myths. He has been the main character in plays by Molière, Alexandre Dumas, and George Bernard Shaw, a poem by Lord Byron, and an opera by Wolfgang Mozart. 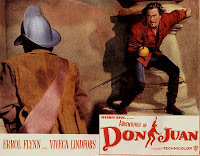 In the movies, Don Juan has been played by Douglas Fairbanks, Errol Flynn, and Johnny Depp. Don Juan is most often portrayed as an immoral and irresponsible philanderer, an arrogant man, lacking in moral conscience and unwilling to apologize for the life he leads. In stories about his life, he gets his comeuppance at the end, paying a price for his philandering. Probably the most famous version of Don Juan comes from Mozart’s Don Giovanni, an opera with a libretto by Lorenzo da Ponte. In Don Giovanni, Don Juan is such a rascal that he seduces a young bride on her wedding night. He also seduces a woman whose father is a Commendatore. When the Commendatore discovers what Don Juan has done to his daughter, he challenges Don Juan to a duel and then dies at Don Juan’s hands. Some time later, Don Juan comes upon a statue of the dead Commendatore and asks the statue to dinner. In one of the most dramatic moments in any opera, the statue arrives for dinner, takes Don Juan by the hand, and drags him into Hell. Contrary to the traditional portrayal of Don Juan as a libertine and scoundrel, the Hungarian writer Nikolaus Lenau published a story in 1851 that was more sympathetic to Don Juan. For Lenau, Don Juan was an idealist, a man in search of perfect love. During his search, he grew increasingly disillusioned and disgusted with himself. Lenau’s portrayal of Don Juan was adopted by Richard Strauss for a symphonic poem. Strauss was only twenty-four years old when he composed Don Juan, and at its premier in 1889 the piece was received with such enthusiasm that Strauss immediately became a significant figure in German music. To understand Strauss’s version of Don Juan, think of the Don as a romantic young man searching for the woman of his dreams. Picture him as a philosopher and dreamer, someone driven by the nobility of a young man’s idealism. Think also of his continuing disappointment at not being able to find the ideal woman and the disillusionment that takes over as he loses his idealism. Whenever I analyze the structure of Strauss's Don Juan for my students, I run into two problems. First, Strauss did not provide program notes for the piece, and the musicologists who have deconstructed it seem to point in all directions. Some claim the piece is composed in sonata form, while others claim it is a fantasia. What helps me most is to think of the piece as a series of episodes that follow the periodic return of a main theme — quasi-rondo form, one might say. I've provided my outline below, hoping it will help those who are new to the piece begin to understand of it. My interpretation is, of course, open to debate. The time indicators I have provided refer to the video embedded on this blog. As you listen, you will first need first to identify two main themes — one representing the Lover’s Quest and the other representing Don Juan's Idealism. The Lover’s Quest (first heard at 0:48) is a theme used by Strauss to begin three separate episodes of Don Juan looking for the ideal woman. (Strauss once told an orchestra to play the theme as if they had just gotten engaged.) Strauss uses each statement of the theme to begin a section of music describing the character of the various women Don Juan meets on his journeys, as well as the angry fathers, boyfriends, and husbands that he must confront. Note that during each episode, Don Juan’s idealism seems to diminish. The theme representing Don Juan's Idealism (first heard at 10:37) portrays the nobility of his quest. The magnificence of the theme, introduced by French horns, makes clear that Don Juan is not just a philanderer. He is, instead, a romantic young man looking for the ideal woman. The key to enjoying the piece? Think about the loss of youthful idealism and a type of disillusionment that might break anyone's spirit. It's a universal theme, and the way Richard Strauss develops it in his version of Don Juan can, at times, break your heart. After the main theme concludes, you will hear a section of music portraying several of Don Juan’s conquests. Listen for the solo violin as it introduces a beautiful passage portraying Don Juan’s love for a woman that he thinks might be the ideal woman. He soon becomes disillusioned and realizes he must resume his quest. After the conclusion of the main theme, you will hear music portraying more of Don Juan’s various conquests. Listen as Don Juan's disillusionment sets in. Listen also for the oboe solo and the long love song representing another lover who might be Don Juan’s ideal woman. Again, Don Juan becomes disillusioned. Don Juan’s nobility and idealism is clearly evident in this theme. However, the music following the theme almost seems to mock Don Juan’s quest. The world seems to be laughing at him. The music grows increasingly chaotic as Don Juan is forced to confront his failures. Some people are forever linked in history to their siblings. In most cases, we bother to learn little or nothing about a historic person’s siblings. George Washington had a brother Lawrence who played a significant role in shaping his life. Lawrence, however, generally, gets lost in the history books. I doubt, however, that few people will ever read about Vincent van Gogh without also reading about his brother Theo. The same is true for Wilbur and Orville Wright, George and Ira Gershwin, John Kennedy and his brother Bobby. It’s probably not even possible to learn about one of the Marx Brothers without learning about the other four. Some siblings are even linked in death. Theo van Gogh died six months after Vincent and is buried next to him at Auvers-sur-Oise in France. Bobby Kennedy died less than five years after his brother and is buried close to him at Arlington cemetery. And any list of siblings connected by history would be incomplete without including Felix and Fanny Mendelssohn. Every classical music lover knows about Felix Mendelssohn. More than 160 years after his death his music remains a standard component of the classical repertoire. When hearing Mendelssohn's music we can’t help but want to know something about the man who composed it, and when we examine his life we inevitably learn about Fanny, the sister who shared his talents but not his opportunities. Fanny was four years older than Felix, born in 1805 as the first child of well-to-do Jewish parents in Hamburg, Germany. Much was expected of children born into the Mendelssohn family. Fanny’s grandfather, Moses Mendelssohn, was a respected philosopher. Her father Abraham was a well-to-do banker, and her mother Lea was a highly educated taskmaster, a woman determined to give her children the best education possible. The Mendelssohns were an intellectual and ambitious family, unwilling to let anything hold them back. In 1811 they moved to Berlin, a city with more opportunities than provincial Hamburg. By the early 1820s the entire family had converted to Lutheranism and changed their name to Mendelssohn-Bartholdy. Abraham and Lea did not want the prejudice and discrimination against Jews affecting their children. When Fanny was born her mother proclaimed she had “Bach-fugue fingers” and begin giving her piano lessons at age six. After the family moved to Berlin, Fanny took lessons with a master pianist named Ludwig Berger. It was clear to anyone who met Fanny that she was a prodigy. Felix also began taking piano lessons at age six. Like Fanny, he was a musical prodigy and also studied with Ludwig Berger. At age ten he learned to write counterpoint from Carl Zelter, as did his sister. Both Fanny and Felix began composing when they were children and were both more advanced than Mozart at a comparable age. Everything changed for Fanny when she turned fifteen. Her parents told her she must abandon music and prepare for marriage and motherhood. Her father said, “Music will perhaps become Felix’s profession. For you it can and must be only an ornament.” The Mendelssohns were a proper family, not about to challenge social mores regarding the role of woman. Felix gained great fame and adulation as a composer, conductor, and pianist. His works were performed by the finest orchestras in Europe. Overture to a Midsummer Night’s Dream, composed when he was only seventeen, received rave reviews after its first performance. He was twenty when the Hebrides Overture played to rapturous applause. At age twenty-six Felix became the conductor of the Leipzig Gewandhaus Orchestra, one of the most prestigious conducting jobs of the time. He soon turned the Gewandhuas into the best orchestra in the world. When he was thirty-four he founded the Leipzig Conservatory of Music. He was, quite simply, one of the most successful and well-known musicians of his time. Fanny, on the other hand, had been denied a career in music by her parents, as well as the cult of domesticity that limited women's opportunities in European society. The fact that she was as talented as her brother made no difference. Instead of setting the musical world on fire, Fanny read about her brother's success in the newspapers. Felix traveled throughout Europe while she stayed home. Felix conducted great orchestras while she played in amateur quartets. Felix became an international superstar. She remained unknown to the general public. At age twenty Fanny married the artist Wilhelm Hensel. The day after her wedding Wilhelm handed her a piece of manuscript paper and asked her to return to music and begin composing again. With the support of her husband, Fanny resumed her life in music, but only as an amateur. After several miscarriages she gave birth to her only child, a son she named Sebastian Ludwig Felix Hensel in honor of her favorite composers. When she wasn't taking care of her son, she hosted musical salons and organized a small chorus. She also composed songs and wrote short pieces for piano. She would compose almost 500 pieces of music, and seven collections of songs were eventually published under her name. Fanny nevertheless remained unknown to the public during her lifetime. European culture would simply not accept music composed by a woman. Felix secretly published several of her songs under his own name, songs that gained wide exposure and popular approval. On one of Felix’s many visits to England he met Queen Victoria who raved about the song “Italien.” Felix created a slight controversy when he confessed that his sister had written the song. On May 14, 1847, Fanny was playing the piano with a chamber group when her hands went numb. The next day she died of a stroke. She was forty-two years old. Felix, distraught over the loss of his sister, was too emotionally upset even to attend her funeral. Over the next few months his health deteriorated and less than six months after his sister died he was killed by a stroke. He was thirty-eight. 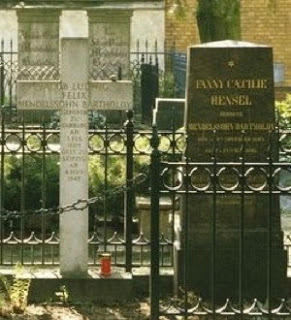 Today, in a graveyard outside Berlin, Fanny and Felix are buried next to each other. Felix was a composer for the ages, gaining the fame that history grants to few artists. His story, however, can never be told without also telling the story of his sister Fanny, a woman of prodigious talent who was born at the wrong time in history. Miguel Cervantes wrote Don Quixote to tell the fictional story an old shepherd who had read too many books about chivalrous knights and imagined himself as the personification of chivalry. In the finale of Richard Strauss’s musical version of the story, the Don dies and says farewell to his dreams.The cello, representing Don Quixote, grows fainter — and finally silent — as the Don dies. Two icons of classical music were born on May 7 — Johannes Brahms (1833-1897) and Peter Tchaikovsky (1840-1893). In addition to sharing a birthdate, Brahms and Tchaikovsky shared a traditionalist approach to composing music that had their contemporaries placing them on the same side during the Romantic “wars” of the late 1800s. They were both viewed by their defenders as standing in opposition to the "art of the future" coming from Hector Berlioz, Franz Liszt, and Richard Wagner. Brahms and Tchaikovsky were also united by history in offering a lesson in how to separate "the person" from "the work." Although Brahms and Tchaikovsky had much in common as composers and liked each other personally, neither one liked the music of the other. Tchaikovsky, especially, seemed to detest the music that Brahms composed. Brahms' view of Tchaikovsky’s music was not as vitriolic, but was nevertheless critical. Brahms disliked Tchaikovsky’s Orchestral Suite No. 1, except the first movement. History also provides a story stemming from Brahms’ attendance of a dress rehearsal of Tchaikovsky’s Fifth Symphony that, if true, provides evidence of Brahms’ indifference to Tchaikovsky’s music. According to legend, Brahms slept through the entire rehearsal. Legend or not (it may have been nothing more than a symptom of Brahms’ sleep apnea), it is true that Brahms later told Tchaikovsky he did not like the symphony. In spite of these differences both men seemed to enjoy the company of the other. They met only twice. The first time was in January 1888 when Tchaikovsky was on a tour of western Europe and attended a rehearsal of Brahms’ Piano Trio No. 3 in Leipzig. Tchaikovsky expected to meet a “conceited” celebrity, a man who was certain to behave with pomposity and arrogance. Instead, Brahms treated Tchaikovsky with warmth and kindness. In a letter to his publisher, Tchaikovsky expressed genuine admiration for Brahms, admiration that may have been enhanced by the alcohol they shared at a party after the rehearsal. “I’ve been on the booze with Brahms. He is tremendously nice — not at all proud as I’d expected, but remarkably straightforward and entirely without arrogance. He has a very cheerful disposition, and I must say that the hours I spent in his company have left me with nothing but the pleasantest memories." They met again the following year in Hamburg when Tchaikovsky toured western Europe a second time. After a rehearsal of Tchaikovsky’s Fifth Symphony, the same rehearsal that may have put Brahms to sleep, the two men shared a meal. As they sat together, Brahms provided harsh criticism of the finale of Tchaikovsky’s symphony. In turn, Tchaikovsky confessed his aversion to Brahms’ compositional style. In spite of the mutually disparaging remarks, the two men seemed to have enjoyed each other’s company and parted as friends. Tchaikovsky even invited Brahms to visit him in Russia, a trip Brahms was never able to make. The same lesson can be found in looking at the relationship between John Adams and Thomas Jefferson, two men who were hostile political opponents in the early years of United States history. Twice they ran against each other for president in bitterly contested elections, with Adams winning in 1796 and Jefferson in 1800. After Jefferson’s presidency ended, however, the two began a written correspondence in which they demonstrated a genuine admiration for each other in spite of their political and philosophical differences. As a U.S. history teacher, I often used the Adams-Jefferson story to demonstrate how political and philosophical differences do not require us to demonize our opponents. It is possible, as I liked to tell students, not to sanction the product of someone’s public work and yet still enjoy their company socially — to like them as a person. I suppose the opposite is also true. We might approve of someone’s public work but not like them as a person. Brahms and Tchaikovsky can be used to teach the same lesson. Adams and Jefferson both died on the same day — July 4, 1826. Brahms and Tchaikovsky were both born on the same date — May 7. The stories of both friendships can by used as lessons in how human beings might live together, and even like each other, in spite of their differences. My students often associate pieces of classical music with old cartoons. Whether I am teaching a lesson about Rossini, Liszt, or Wagner, a student will invariably mention Donald Duck, Bugs Bunny, or Elmer Fudd. I love those old cartoons, but if I took things too seriously, I might take exception to how the beauty and originality of some music has been lost in comic images. However, a little satire should never be able to ruin a great piece of music, and I'll therefore refer you to Listverse for the 10 Best Uses of Classical Music in Cartoons. There’s no doubt that each cartoon on the list is a gem, and you can't go wrong with the music. 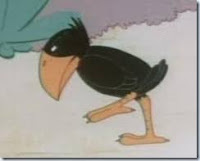 Five cartoons not placed on the list (most likely due to embarrassing racial stereotypes) come from the “Inki and the Minah Bird” series from Warner Brothers. In each of the five cartoons, a myna bird strolls across the screen, periodically hopping to the music. And what is the music that accompanies that bird's stroll? It’s the Hebrides Overture composed by Felix Mendelssohn. I'd like to use the rest of this blog not to discuss old cartoons, but instead to honor Mendelssohn by discussing the Hebrides Overture. Mendelssohn was a German composer who visited Scotland when he was twenty years old. He was so charmed by what he saw on his trip that he was inspired to compose two pieces that are now recognized as musical masterworks: Symphony No. 3 in A Minor (the "Scottish” Symphony) and the Hebrides Overture. You might want to explore the "Scottish" Symphony on your own. However, if you'd like to know something about the Hebrides, just keep reading. The Hebrides archipelago is a group of islands off the western coast of Scotland. Staffa is one of those islands, its name coming from an old Norse word for column or staff. 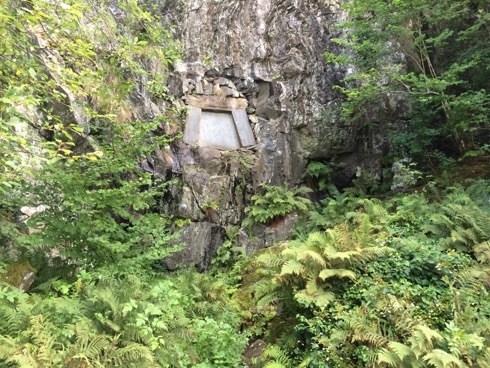 The island is less than a mile wide and contains a series of basalt columns that surround a cave on the southeastern corner of the island. The cave is called Fingal’s Cave and is named for a mythical hero who took refuge on the island. I have embedded two videos below. One shows Fingal's Cave and the other shows the Beethoven Academy Orchestra performing the Hebrides Overture. Follow the outline I have provided while listening to the orchestra and think about the majesty of the cave on Staffa Island. Listen for the constant ebb and flow of the water that leads to a climax, as if a storm had hit the island. Rest assured that all ends well with Mendelssohn providing a calm acceptance of nature’s majesty. Much more interesting than a hopping myna bird, I'd say. Follow the outline below while listening to the Beethoven Academy Orchestra playing the Hebrides Overture: (Note: The Hebrides Overture was composed in sonata form. A theme repeated over and over to recreate the murmuring of the waves at the mouth of the cave. Note how the theme is often repeated at a lower dynamic level to represent the echo from within the cave. A theme that rises and falls in pitch and dynamics to represent the waters crashing on rocks and ebbing back to the sea. Some say the theme portrays the inner tranquility of the cave in the midst of the turbulent sea. Note the change in rhythm (3:00) that represents the fierceness of the wind and sea. 3:34 — The two themes from the exposition are developed and expanded. Note how the themes advance and retreat like water hitting the cave. Listen for the calmness (4:27) preceding the foreboding of a storm (4:52) that eventually hits the island with full fury (6:03).